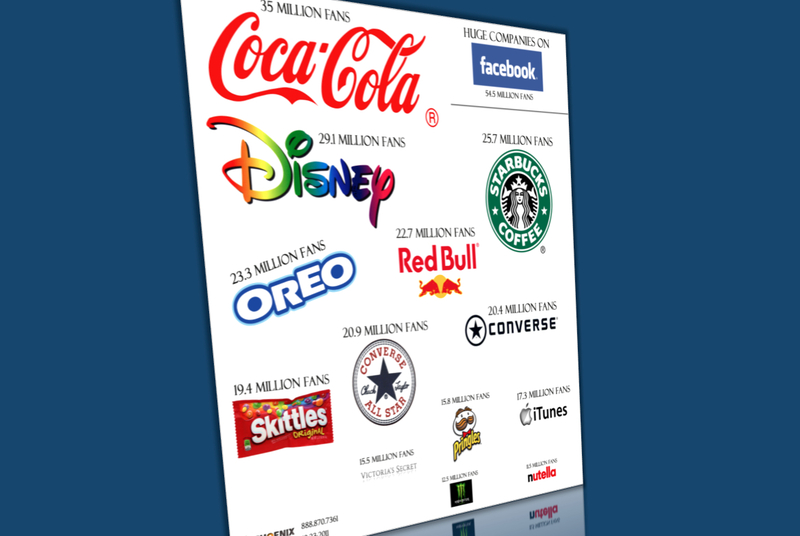 The Top 12 Brands on Facebook: How Good Are They Really? In Maersk Line, we’re in the process of rolling out the use of Facebook to our global organisation, meaning that the more than 150 country communication managers situated in offices around the globe are now able to do local posts via our global Facebook page (Facebook.com/MaerskLine). In doing so, I discovered a need from their end to better measure how good their posts are. Since they are only posting to a limited audience of e.g. 5,000 fans in their country it might be that 30 likes is extremely good – even though it doesn’t feel that way. Therefore, I started looking into how you can calculate how good – or successful – a post is, and I ‘developed’ an engagement score and started calculating the score for 12 of what’s usually seen as the best brands in social media. Just to have something to benchmark our efforts against. What I did was this: I took the average number of likes, shares and comments for the 10 most recent global posts for the different Facebook pages – and multiplied the comments and the shares with 4 and 2 respectively because they are worth more than a simple like. I then divided that average post score with the total number of fans and multiplied it by 10,000 to get a more regular number… and that’s the score. Quite simple. You might argue against the metrics behind this score in a number of ways, but I think it gives a good and clear overall picture of how good companies really are at social. And it’s very easy to use to calculate how well you (as a social media manager) are performing. * = two of the posts had suspiciously many more likes (not shares and comments) than the rest, suggesting they were ‘bought’, i.e. promoted through FB Adverts. ** = if not for a single, very popular post the score would only have been 1.3. Hi Jonathan – I’m curious. Why did you choose to create metrics for Facebook vs. use the monitoring and sentiment reporting offered by companies like Radian6 (Salesforce) or Brandwatch. I’m aware that many of the social media services in the market are focused on monitoring for brand mentions vs. analyzing sentiment. In any case, looks like a positive outcome in a relatively short period of time for your efforts at Maersk Line. Interesting results – social media is powerful 🙂 We just need to know how to use it, correctly! The likes on our last ten posts were 97,110,60,19,41,16,25,44,18,61. Comments: 3,10,4,0,7,2,1,4,0,7. Shares: 14,68,11,12,1,3,1,12,14,60. Our page has 1,467 likes. I then added up all the likes and divided by 10 to get an average and worked from there. I can’t seem to make the equation work for us. Keep up the great work by the way, love the Maersk social media presence! Jay Baer & Scott Stratten: "Just be awesome!"